Help students get their best grade with complete course notes and advice from Scotland’s top experts. Learn more - find your subject and level below to see available titles. How to Pass National 5 Second Editions - available to buy now! View sample pages for the Higher How to Pass Second Editions! 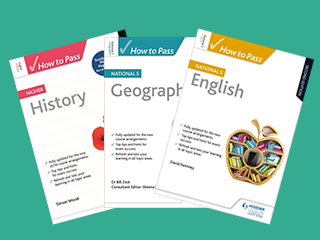 Our brand new Higher How to Pass editions are available now! 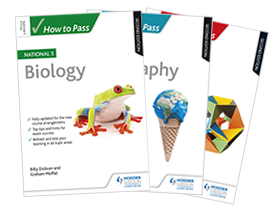 Our brand new National 5 How to Pass editions are available now! Find your subject below and order today. Sign-up for our Scottish Curriculum Updates to be the first to recieve samples, news and insight from our expert authors. When you sign up for eUpdates we won't share your details with any other company. See our Terms and Conditions for more about our Data protection policy.